Over the course of his 20+ year career, Ian has been able to consistently deliver results that have exceeded his clients' expectations and the businesses he has supported. His passion and drive to succeed along with solid business fundamentals has enabled Ian to consistently provide tangible, bottom line results. Ian has worked at a number of large corporations over his career, including RBC, Fidelity Investments Canada and TD Canada Trust. He has also worked for small entrepreneurial firms where he developed a keen awareness of their opportunities and challenges. Ian is a strong communicator and marketing strategist who is very capable of taking your ideas, visions and goals and crafting them into an overarching strategy across a variety of communications and media. He will work closely with you to develop a marketing strategy, and will then build a plan that will optimize your ability to promote your business, online and off. He prides himself in taking the time to understand the needs of his clients and their businesses in order to create an effective marketing strategy and plan. Ian's varied professional experience has included roles in marketing, sales, sales management, customer service, operations management and consulting, several of which have been at the senior management level. This broad business background provides a unique and varied business perspective, and one that has an appreciation for the impact marketing has on the business as a whole. Ian has an MBA from McMaster University, where he majored in both Strategic Marketing and International Business. 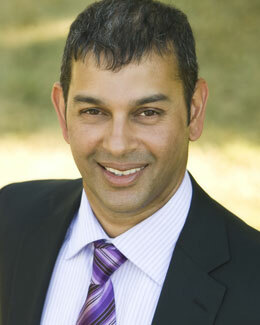 He also has an Honours Bachelor of Science degree in Nutritional Sciences from the University of Toronto. This educational background gives him the ability to think in both a creative and analytical fashion, enabling him to develop communications that are both compelling and creative in nature. Ian is currently an Instructor at McMaster University's Centre of Continuing Education , where he teaches an introductory course in Business Administration. Being active is a way of life for Ian. He participates in a wide array of activities throughout the year including hockey, baseball, golf and skiing, as well as working out on a regular basis. Ian is also involved in a volunteer capacity with a number of organizations. He is currently on the Board of the Halton Peel Communications Association , a not-for-profit association of communicators where he is the Director of Events responsible for booking and organizing all member events and activities. He is also a member of the Communications Task Force at the Oakville Community Foundation , where he provides communications support and editorial services for their quarterly newsletter and other communications.